Those girls who have pear shaped figure always have a strong part of lower body, so plus size maxi skirts are more suitable for them, which can give a more harmonious image for others. We all like wearing hot shorts, short or mini skirts in summer, because it is so hot and we look smart and active when wearing them, but for the girls who don’t have perfect body, their weakness of body will be exposed if they wear these clothes, so they’d better abandon them. There are some kinds of skirts I recommend for the girls. Firstly fishtail skirt is a good choice, which can curve your body. And different fabric fits different seasons, chiffon is for summer, and velvet is for winter. 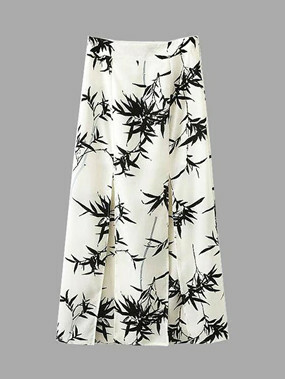 And don’t forget A-line skirt, the maxi pattern is very popular in winter, which makes you tall and slim, it can also hide your strong legs, especially the opaque design suits fat girls so well. 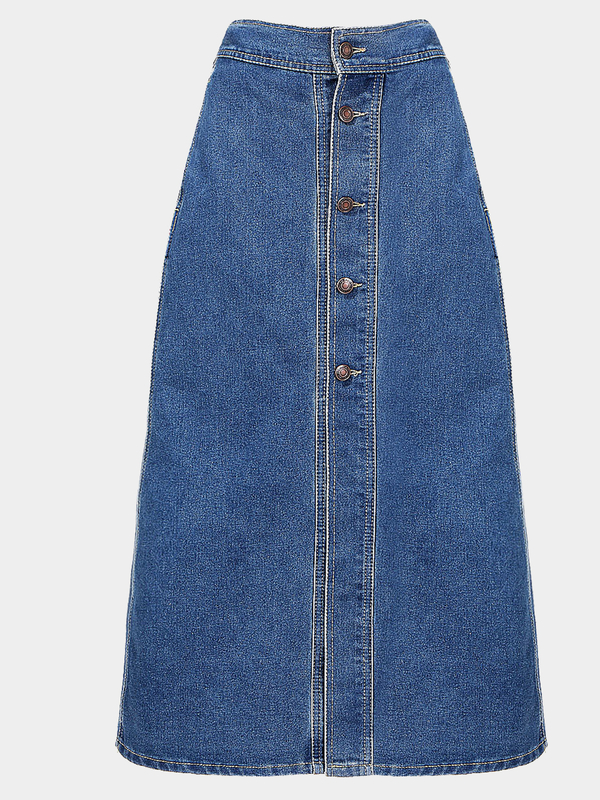 Denim skirt is very suitable, too. Recently, many stars love it so much, and itself is never out style, it is also basic and practical in all seasons. The point is it is distransparent, which saves you. Besides remember to choose the medium or maxi length.